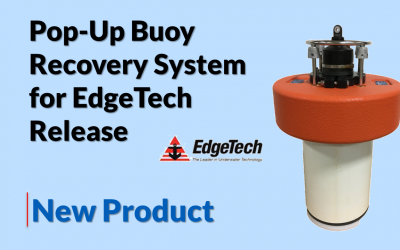 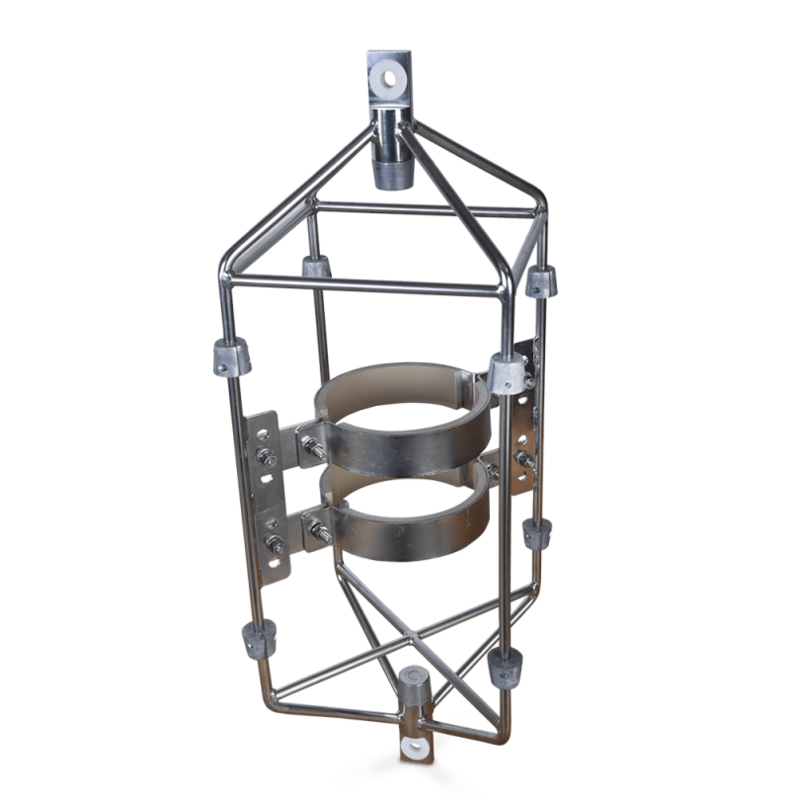 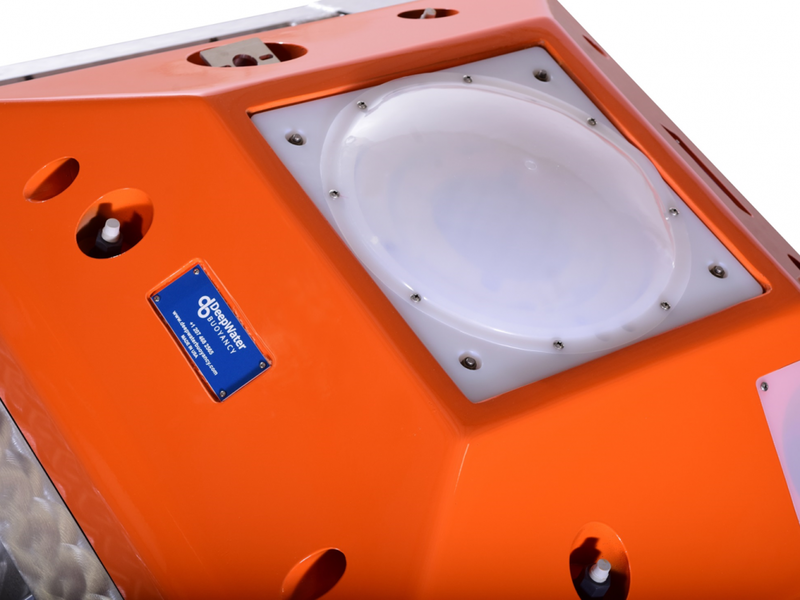 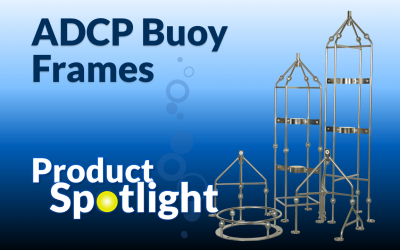 These rugged deployment products are designed to protect instrumentation in areas where trawling is a concern. 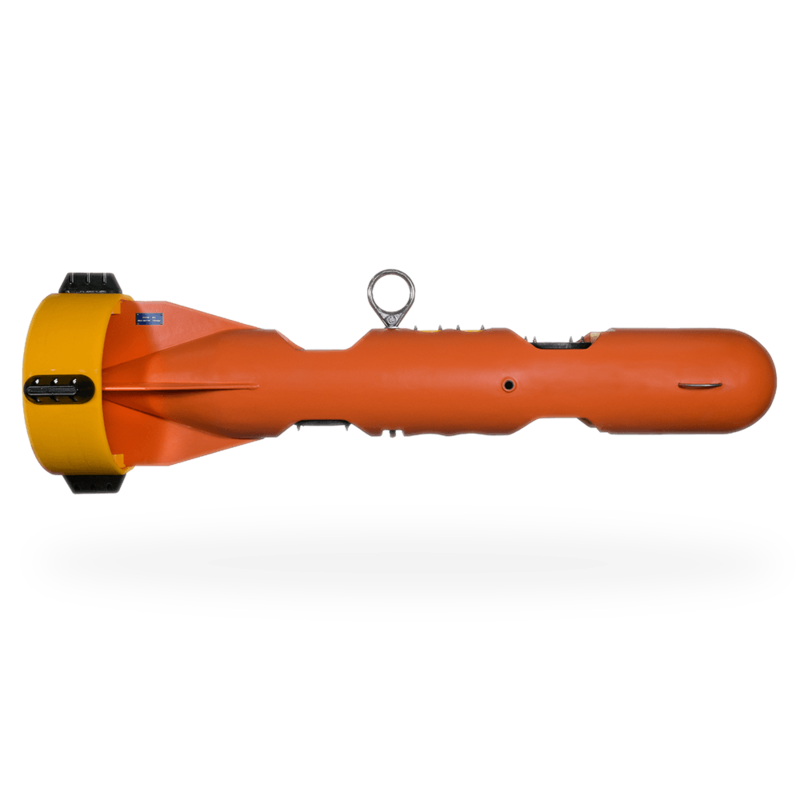 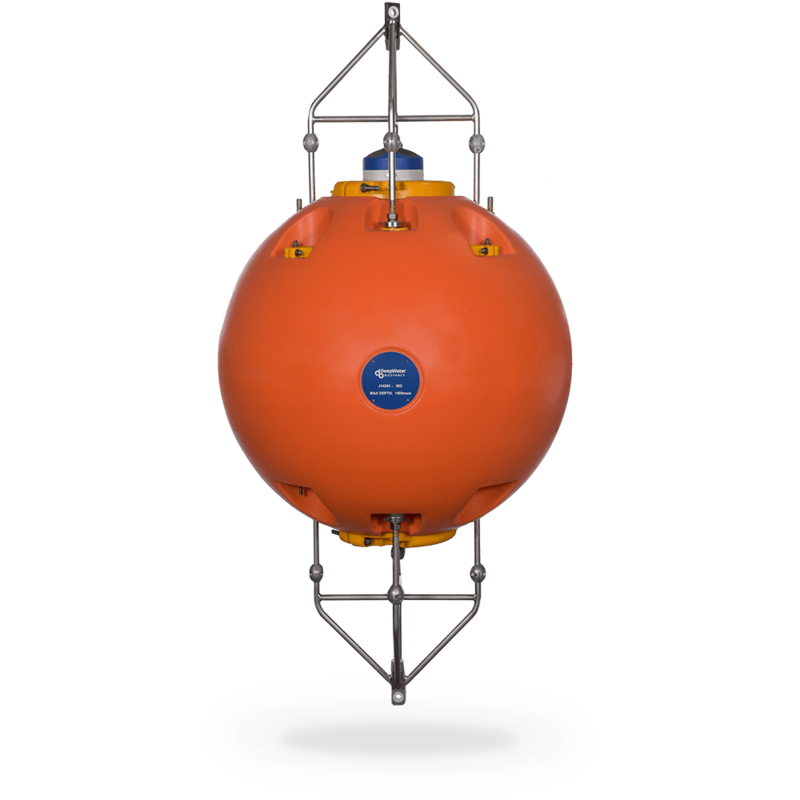 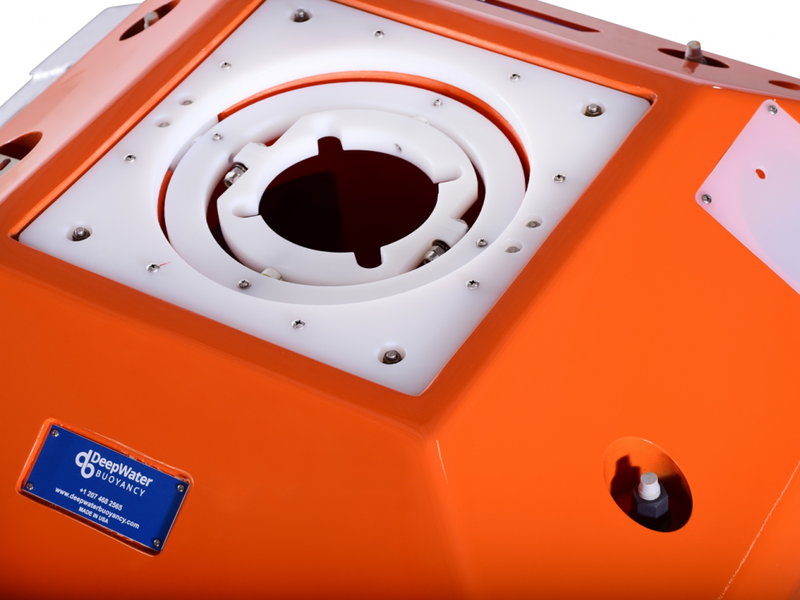 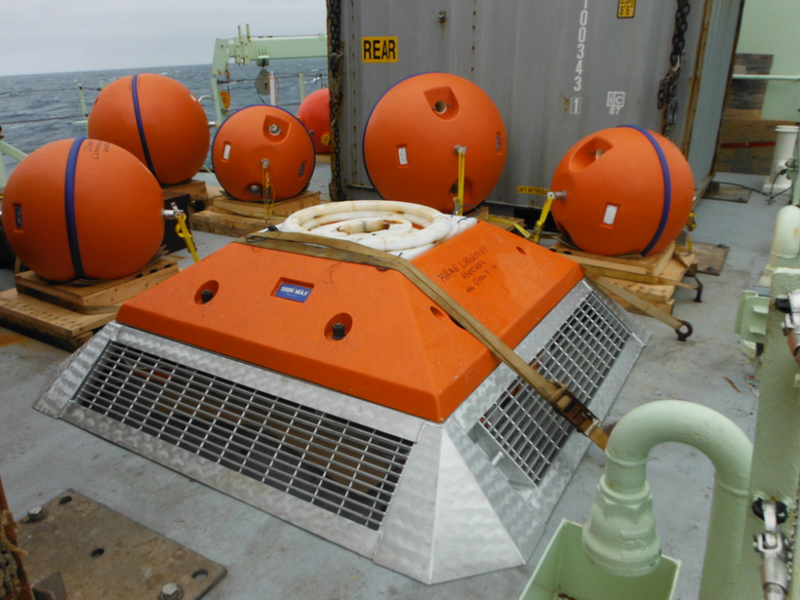 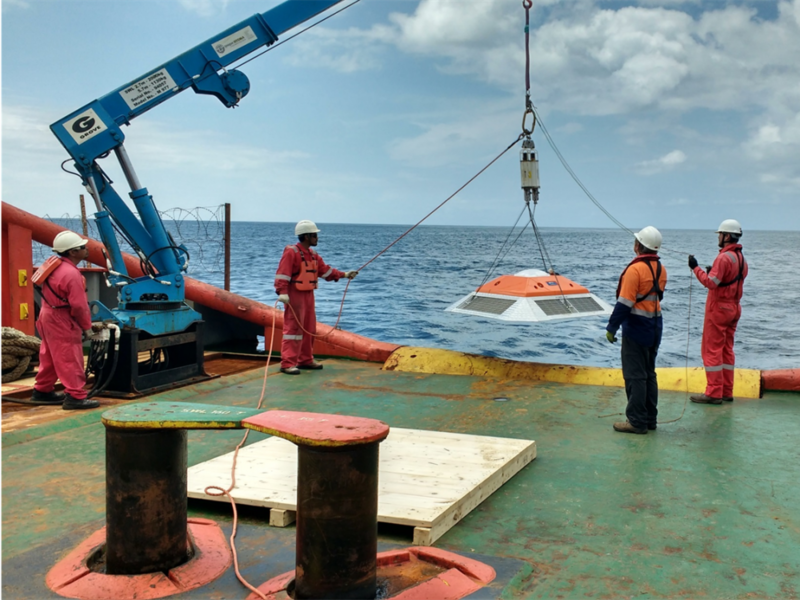 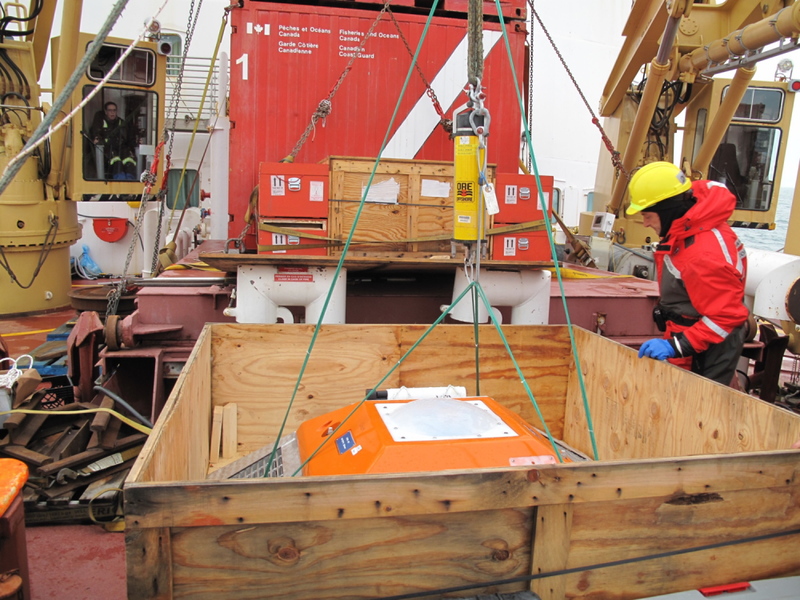 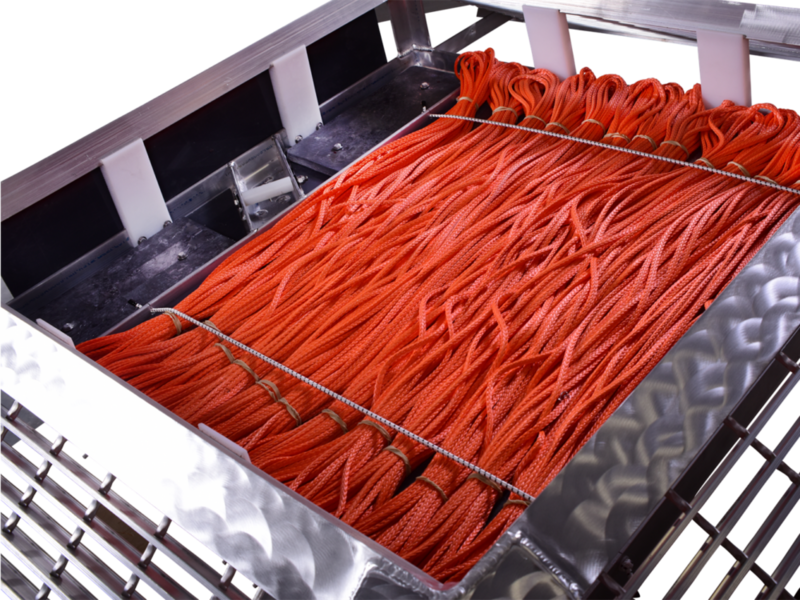 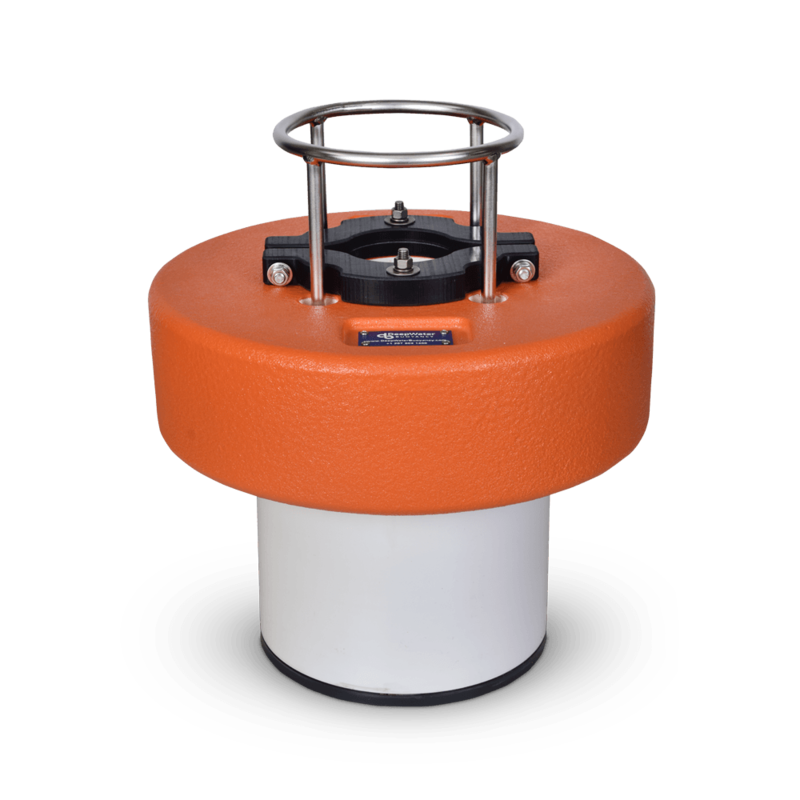 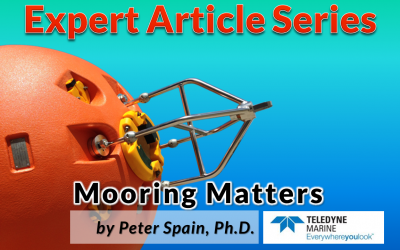 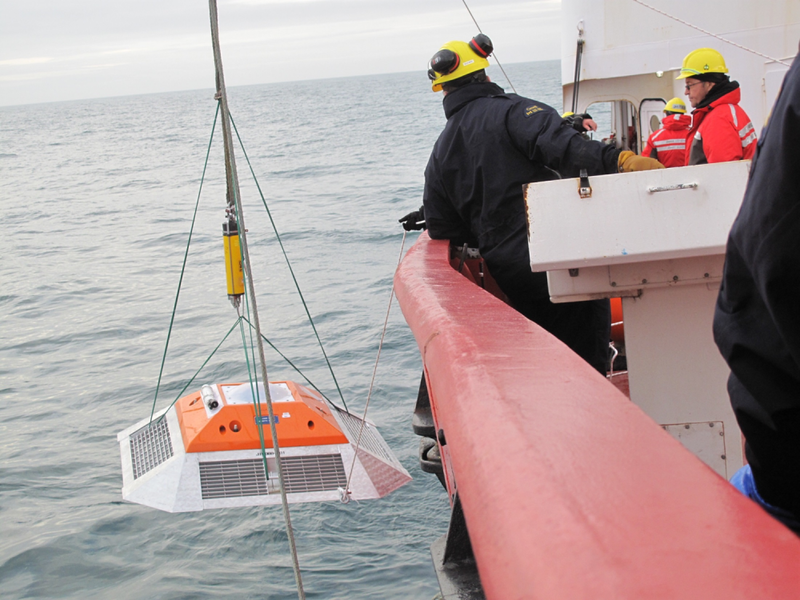 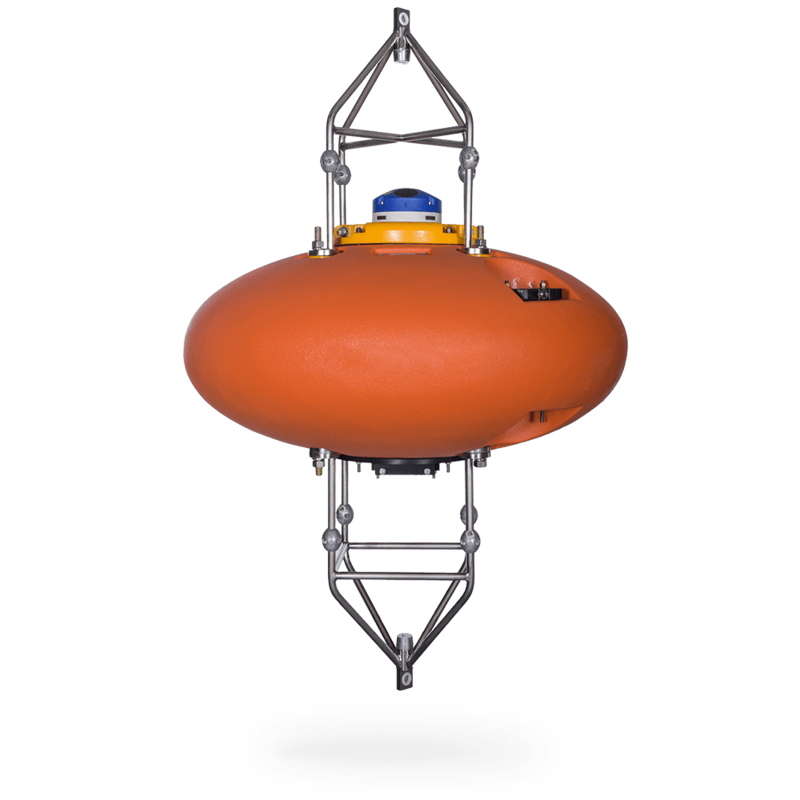 The AL-200 and AL-500 Trawl-Resistant Bottom Mounts (TRBMs) consist of a buoyant recovery pod designed to permit retrieval of all mounted instruments. 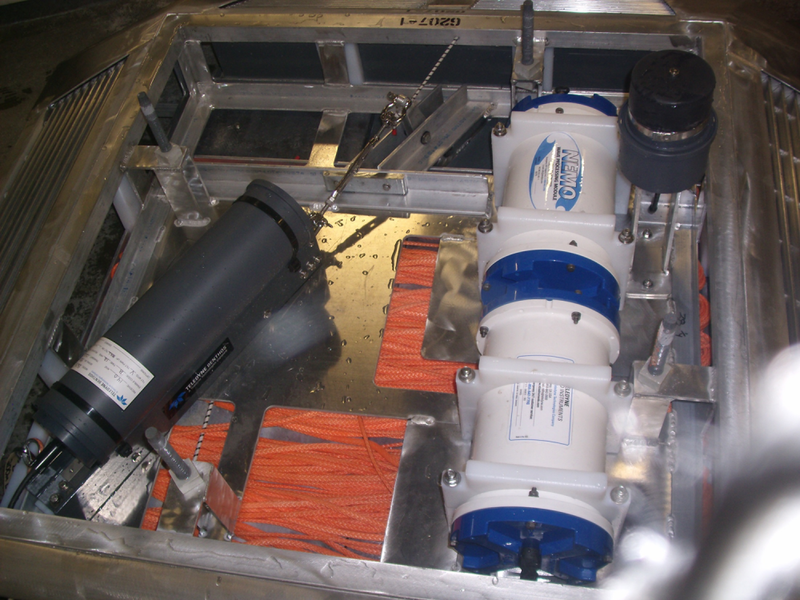 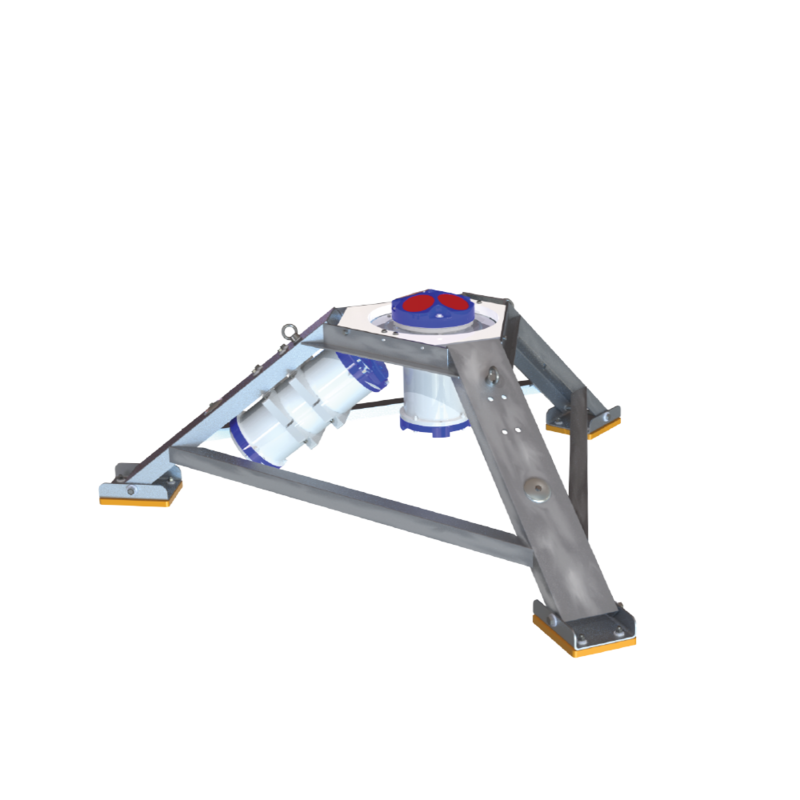 The recovery pod is ejected from the base by a user-supplied acoustic release and trails a Spectra recovery line that is attached to the base. 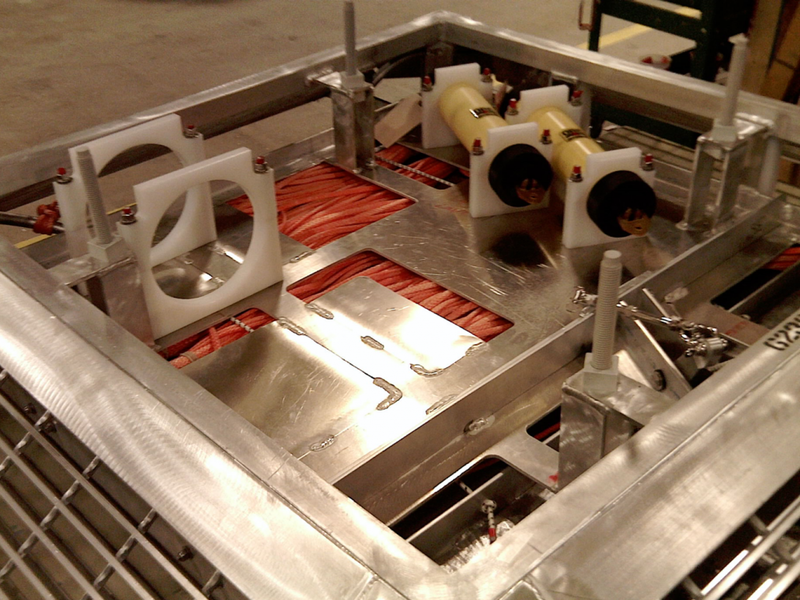 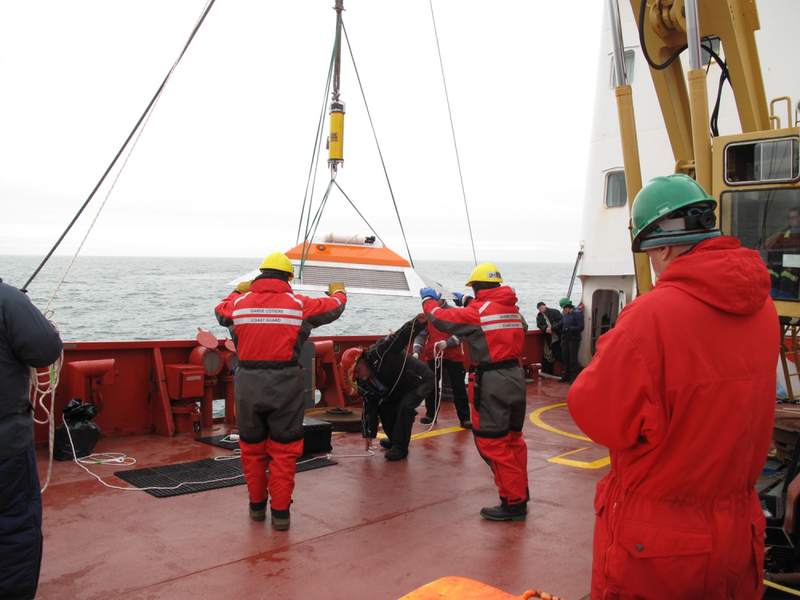 The aluminum base can then be winched aboard. 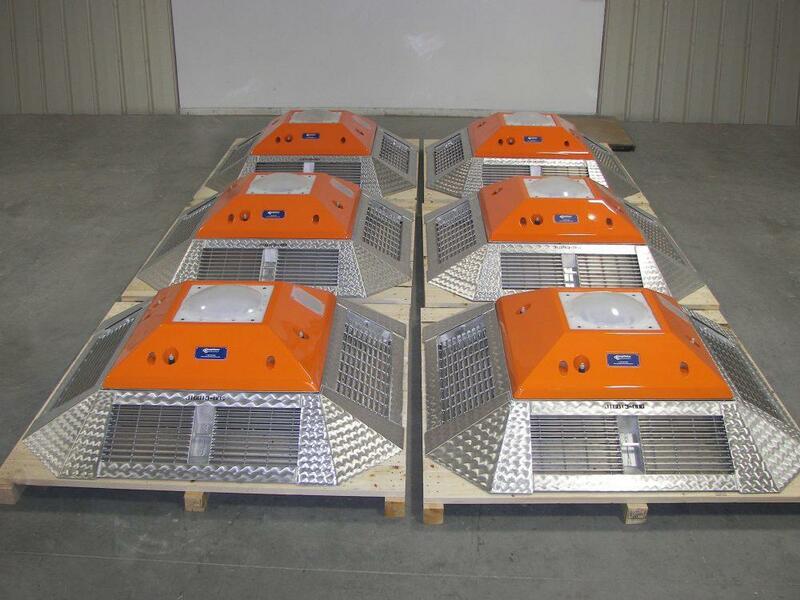 Disposable concrete bases can also be provided depending on bottom conditions. 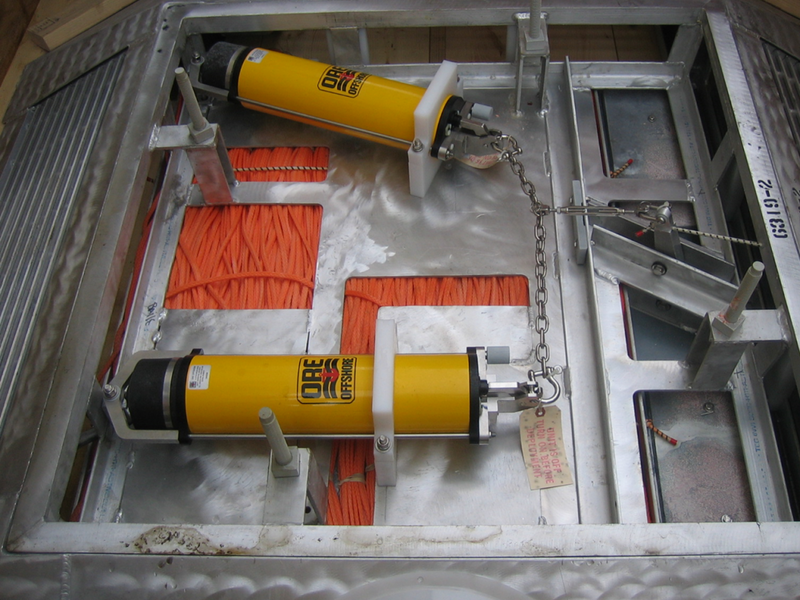 Conditional upon the specific requirements, acoustic recoverable systems are offered for deployment depths of up to 1000 meters. 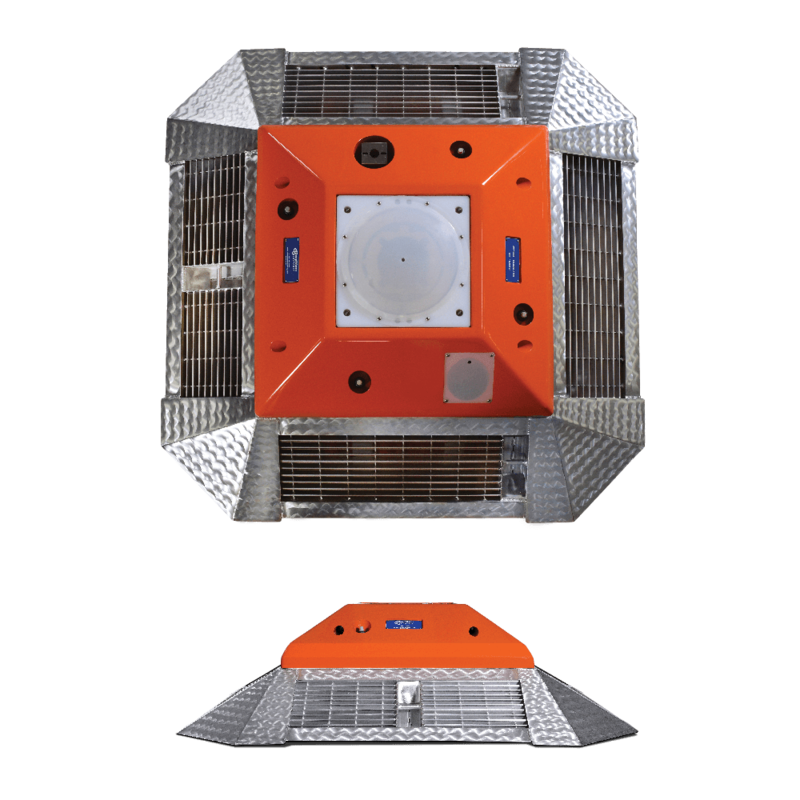 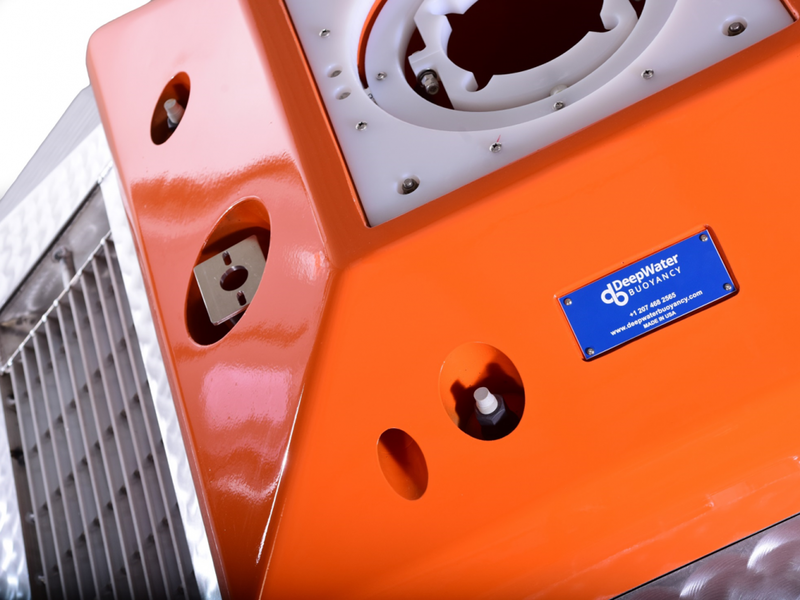 All models feature a special grade of high impact DeepTec® syntactic foam and 5000 series aluminum construction. 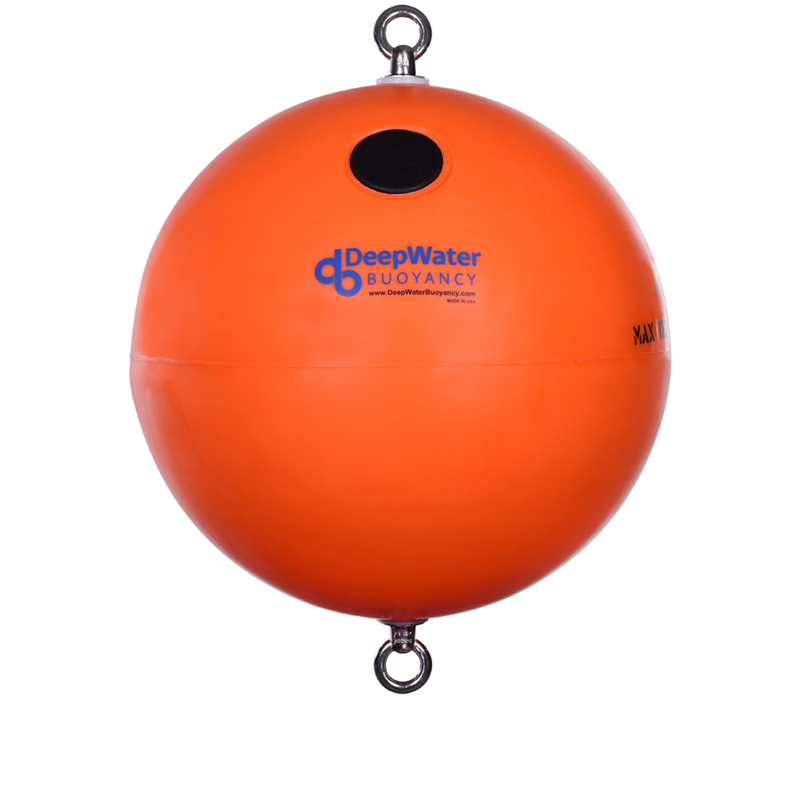 Adjustable amounts of lead ballast in the base allow the in-water weight of the TRBM to be tailored to specific bottom conditions.